Please read the Warnings and Instructions, Terms and Conditions and California Proposition 65 statement below. Once you have read them, please hit the “I AGREE” button to place your order. You cannot order without following this instruction. Failure to follow the instructions on the SURE FOOT pads insert sheet and contained in the instructional DVD could result in death or serious injury. Be sure to familiarize yourself with the information on the DVD before starting the SURE FOOT Equine Stability Program with your horse. Use your foot to position the pad into place. Keep your hands away when placing the horse’s hoof. Do not force the horse to stand on the pads. If there is any medical issues consult your veterinarian before beginning SURE FOOT to be sure this program is right for your horse. Products on this website marked with this symbol can expose you to phthalates, including di (2-ethylhexyl) phthalate (“DEHP”), which are known to the State of California to cause cancer and birth defects or other reproductive harm. See below for an explanation of Proposition 65. SURE FOOT Pads are warranted against breakage and/or delamination of either the pad or DuraFlex coating. Cuts, minor slices, dents or bites are considered normal wear and tear. Do not leave Firm and Slant pads in an enclosed car or trailer, or in direct sunlight for extended periods of time with the charcoal surface upward. Excessive heat may cause alterations in the foam. You may notice a permanent hoof impression on the uncoated side in high heat. This will affect the appearance of pad however it does not affect the pads performance. *When using the SURE FOOT pads in a cold environment (below 40°F or 4° C) use the uncoated surface. The DuraFlex surface stiffens slightly in cold temperatures and may crack. This type of blemish does not affect the function or performance of the pad, simply the look. While every reasonable effort is made to prepare our web site as accurately as possible, we reserve the right to correct pricing errors posted on the website accidentally. If you place an order for a product that was incorrectly priced, we will put your order on hold and contact you to obtain authorization for any changes in pricing. At that time you will have the option to cancel your order. If you have any questions about the way an item is described or priced, please contact our customer service department at 540-675-2285. Items in stock are usually shipped within 48 hours. Items not in stock or being shipped directly from the vendor to you and may take up to 2 weeks. While we will make every attempt to get your order out to you as soon as possible, please allow up to 4 weeks for delivery. You will be notified via email within 48 hours if an item is backordered. Overnight will incur an additional $30.00 fee. Overnight service will require a physical address (preferably a business). If you cannot provide a physical address, please specify that and your order will be processed through the US Mail Express Overnight service. Please call 1-540-675-2285 or email info@murdochmethod.com if you need this service or have any questions about shipping and delivery. Occasionally we may not have the chosen color of an item in stock. We will make every attempt to choose a similar color or contact you to find out what you would like as a substitute. Occasionally we may be temporarily out of stock on a particular item. Depending on when the item is expected to be back in stock we may hold your entire order for shipment or make a partial shipment of the items that are in stock and send the back ordered items when they are back in stock. Every attempt will be made to fulfill your order as soon as possible. Murdochmethod.com accepts Visa, MasterCard, Discover and American Express through our secure payment gateway connection for payment in the online store. Currently we do not accept PayPal. If you need to use another form of payment please contact the office at info@murdochmethod.com or call 1-540-675-2285. Sales tax is charged for goods sold or shipped to VA. Prices listed in our on-line store do not include sales or use tax. These taxes, where applicable, are solely the buyer’s responsibility. All orders and electronic files will incur a shipping and handling fee and will be shipped by US Postal service. Shipping costs are assessed based on the weight and size of the items ordered and the shipping class selected. Overseas orders may be subject to customs and/or duties when arriving into the country of purchase. Murdoch Method, LLC cannot predict nor be responsible for duties and customs charged. Please check with the laws for point of entry into your Country to know whether or not duties and customs may be charged when receiving delivery of your order from the Murdoch Method, LLC. Any product, which the consumer believes are damaged on receipt, must be reported to murdochmethod.com within (7) days of receipt. The entity, murdochmethod.com will not accept damage claims after (7) days of the delivery date. If merchandise is discovered damaged after opening (upon receipt) – call customer service immediately at 540-675-2285 to report damage or send an email to info@murdochmethod.com. Do not return merchandise without murdochmethod.com’s authorization. Keep original carton and all packing materials. Murdochmethod.com uses a secure method for transmission of payment data. You can shop at murdochmethod.com/shop with confidence. We have partnered with Authorize.Net [http://www.authorize.net], a leading payment gateway since 1996, to accept credit cards payments safely and securely for our customers. If we make changes to the policy in the future with regard to how we use your information, we will post those changes on our Web site in this location together with the date of the last update. Your continued business relationship or use of the Web site after the changes are posted constitutes your agreement to the changes, both with regard to information we have previously collected from you and with regard to information we collect from you in the future. If you do not agree to the changes, please discontinue your use of our Web site. We may contact you via email or use targeted online advertising as permissible by law. In the case of email, we may include instructions to enable you to unsubscribe from future emails if you so choose. You agree and understand that while we will do our best to comply with your request, we shall not be liable for any problems or delays associated with the opt-out process. At various points and pages on our Web site, you may be able to access or utilize tools and/or services offered by or in conjunction with third parties, including tools and services in connection with third-party “social media” and other sites that would allow personal information to be transferred to such third parties. These third parties have separate data collection and privacy practices independent from ours, and therefore Murdoch Method is not responsible for their policies or activities. Please contact those third parties directly if you have questions about their privacy policies. Murdoch Method uses security measures to protect the loss, misuse, and alteration of the information under our control, and we make good-faith efforts to store your personal information in a secure operating environment. Unfortunately, no data transmission over the Internet can be guaranteed to be absolutely secure. As a result, while we strive to protect your personal information, we cannot ensure or warrant the security of any information you transmit to us or our online products or services, and you do so at your own risk. An international audience may access Murdoch Method site. By visiting our Web site and providing us with data, you acknowledge and agree that your personal information may be processed for the purposes identified in this policy. In addition, such data may be transferred and stored on servers located in the United States of America or otherwise outside your resident jurisdiction; such jurisdictions may have less stringent privacy practices than your own. Personal information that is transferred or maintained outside of your jurisdiction could be accessible to law enforcement agencies according to the laws of the applicable foreign country. Murdoch Method, LLC acknowledges the importance of protecting the privacy of murdochmethod.com users. The information we collect is used to improve the services we and our subsidiaries offer, to improve our Web sites content, and, with your permission, to contact you with updates to our web site or other marketing information. However, Murdoch Method, LLC will not share any information obtained on this site with any other company or sell information obtained on this site to any company or marketing group external to and Murdoch Method, LLC. Subsidiaries. Certain areas of murdochmethod.com may require registration or a password for access. Information obtained from registered users of these areas may also be used for Murdoch Method, LLC marketing purposes, and cookies may be used in those and other areas, as is described in this policy. Information obtained in these areas may also be used in accordance with agreements governing access to and use of the specific areas. What information is captured from visitors to murdochmethod.com? The murdochmethod.com Web server uses an extended log file format, which captures: date and time of visit, refer address (location from which a visitor comes to murdochmethod.com), type of Internet browser, and visitor IP address. (Each computer that connects to the Internet is assigned a unique number, an IP Address, for identification purposes). The log file does not capture a visitors email address. In the Catalog area, your name, address, phone number, email address, and billing and shipping information are requested. This information is collected to help us further develop our services, to provide you access to valuable Murdoch Method, LLC Internet-based information and services, and to bill you for those services if you elect to use them. The information helps us identify the type of Web site content our customers value most. We then use this information to improve the Web site and as provided in this policy. We also use this information to send you email notifications about updates to the Web site when you give us permission, and to contact you for marketing purposes (again, only if you give us permission). None of the information collected is shared with organizations external to Murdoch Method, LLC and its subsidiaries. Will my information be used for any other purposes? Murdoch Method, LLC may periodically send you information about various products and services if you grant Murdoch Method, LLC your permission to do so. Your preferences can be changed at any time. What happens when I leave murdochmethod.com to visit a linked Web site? Parts of murdochmethod.com consist of products and services hosted by third-party businesses. When you leave murdochmethod.com to visit one of these sites, the only information transferred to the third party is the fact that you came from murdochmethod.com (the refer address). This practice allows the third party to monitor its own Web site traffic, but does not provide them with any information about you. Murdoch Method, LLC is not responsible or liable for the independent privacy policies of our third party sites. You should consult the privacy policies at those sites to determine how your information may be used. Cookies are used to achieve two goals. The first is to provide Murdoch Method, LLC with the capability to personalize information for certain segments of its customer base. Secondly, in some instances, cookies are used to allow Murdoch Method, LLC the opportunity to associate individual customers with their information profiles. A cookie is a series of data characters that, when programmed into a Web site, is placed by the Web Server into the browsers application folder on your computer. Once placed onto your machine, the cookie will allow the Web site to “recognize” you as a unique individual. How do I contact Murdoch Method, LLC? We can be reached via email at info@murdochmethod.com or by telephone at 1-540-675-2285. The information contained on this web site is for educational and shopping purposes only. Equine activities have inherent risks. If you have training or use questions please direct them to a professional. Murdoch Method, LLC is providing this site and its contents on an “as is” basis and makes no representations or warranties of any kind with respect to this site or its contents. Price and availability information is subject to change without notice. Except as specifically stated on this site, neither Murdoch Method, LLC nor any of its directors, employees or other representatives will be liable for damages arising out of or in connection with the use of this site. You may have noticed the above warning or a similar one associated with our products and with other products purchased from other manufacturers and distributors. WARNING: This product contains one or more chemicals known to the State of California to cause cancer, birth defects and other reproductive harm. This warning is appearing now because of a California law passed in 1986. Often called Proposition 65, its formal name is the Safe Drinking Water and Toxic Enforcement Act. Proposition 65 requires warnings to be placed on product packaging or on the products that contain any of the 800 plus chemicals considered by the California Air Resources Board to cause cancer or reproductive toxicity. Since the law was passed, California has added chemicals to and deleted chemicals from the list. Many of the elements listed are common everyday items. Any company that operates in California, sells products in California, or manufactures or distributes products that may be sold in California is subject to complying with Proposition 65 requirements. We are proactively including the warning to meet the Proposition 65 requirements. There are penalties for not complying with Proposition 65, and failure to include the warning may result in a civil penalty of $2500 per day. The warning used is one that is considered to comply with Proposition 65 consumer warning requirements. Proposition 65, formally known as the Safe Drinking Water and Toxic Enforcement Act, is a California law passed in 1986. Proposition 65 requires California to keep a list of chemicals known to state regulators to cause cancer or reproductive toxicity. Since 1986, California has added chemicals to the list but also deleted chemicals from the list after additional review. Today the Proposition 65 chemical list has grown to include approximately 800 different chemicals, including some chemicals contained in everyday products. Proposition 65 is enforced by the California Attorney General’s Office and district and city attorneys. Proposition 65 lawsuits can also be brought by private attorneys seeking civil penalties, injunctive relief, and attorney fees against anyone in violation of this law. 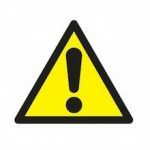 What is a Proposition 65 warning? Warnings are placed on products distributed in California that contain a listed chemical. A warning must be given for listed chemicals if exposure poses a “significant risk” of cancer or is above a level observed to cause birth defects or reproductive harm. For chemicals listed as causing cancer, the “significant risk level” means an individual would have a greater than one in 100,000 chance of developing cancer if exposed to the chemical over a 70-year lifetime. For chemicals listed as causing birth defects or reproductive harm, the level of exposure is that which has been shown to pose harm to humans or laboratory animals. Why don’t other companies provide warnings on their products? We cannot control what others do, but we can make sure that our products comply with the requirements of Proposition 65. We endeavor to use materials that are a safe as possible. However we are not able to completely eliminate all chemical listed by Prop 65. In addition the list is constantly changing. Therefore we are proactively applying the warning label to meet Proposition 65 requirements, as the number of private attorney lawsuits increases and litigation becomes more costly. Our products are distributed nationwide. It would be very difficult and costly to determine which products will ultimately be bought, sold, or brought into California. Therefore, to be sure that we are in compliance with Proposition 65 requirements, we are including the warning with those products that may be affected by this law. For more information about California Proposition 65, go to the website of the California Office of Environmental Health Hazard Assessment.